Stocks Hotel on the beautiful British Channel Island of Sark are recruiting now for one more dedicated Chef de Partie for the 2018 summer season. Required to work as part of a small, high quality kitchen brigade to produce a repertoire of popular and delicious dishes for two restaurants using locally sourced produce wherever possible. Stocks is a high-quality, (4 star / 2 AA red rosettes), family run, luxury farmhouse hotel with 23 suites and bedrooms plus a fine dining room, an exclusive cocktail bar and a popular poolside Bistro / Brasserie restaurant. 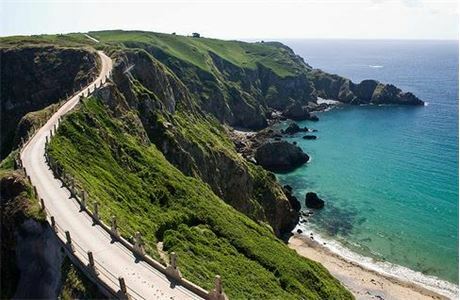 The hotel is located in the centre of the beautiful island of Sark in the British Channel Islands. Stocks is one of the TOP 25 TripAdvisor rated small hotels in the UK. Our ambition is to achieve 3 AA red rosettes in 2018. Our brand new, luxurious, state of the art, en-suite staff lodge accommodation includes full central heating, laundry service, medical insurance, Wi-Fi and satellite TV. Free staff food, 7 days per week. Please note that some staff bedrooms are shared. Apply today! We want to recruit the best staff and we provide possibly the best staff accommodation you will find anywhere in Europe! You must have a positive work ethic and a great sense of humour. You must have a respect for high quality, fresh, ethically sourced, local produce. We grow deliciously fresh, seasonal fruit & vegetables in our own organic Permaculture gardens. We butcher locally sourced meat and we fillet locally caught fresh fish. There is very little processed food used on Sark and there is no Tesco or Sainsbury's here! You must have basic common sense and brain that works! Our kitchens are spotlessly clean. All kitchen staff must have appropriate health & hygiene experience. You will be expected to plan, source and create interesting dishes daily using seasonal, fresh, locally available produce. You must speak and clearly understand basic Inglisch. You must possess a valid UK Visa and a UK work permit. We cannot apply for these personal documents on your behalf. Apply today and be part of our success.